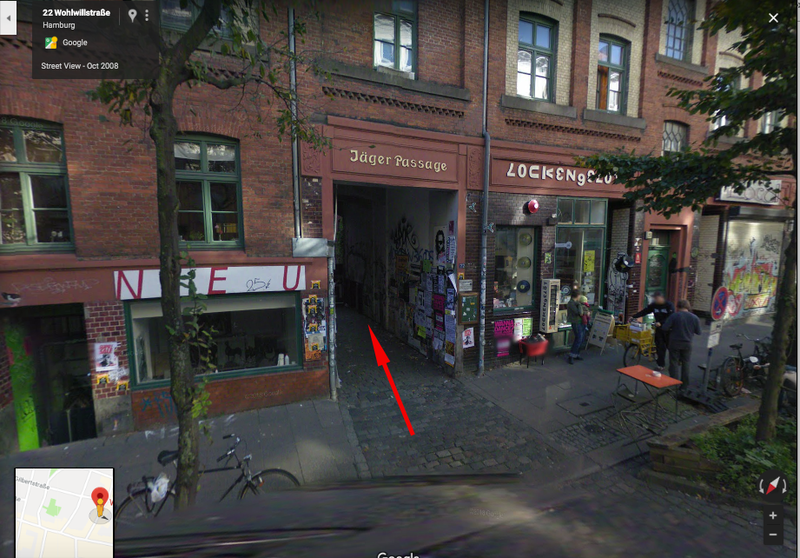 Location: The first doorway on the right after you pass through the passageway named Jäger-Passage at Number 22 Wohlwillstraße, Hamburg, Germany. Album cover photograh by Jürgen Vollmer. The album with background - Photo by Jürgen Vollmer. The original photo - Photo by Jürgen Vollmer. 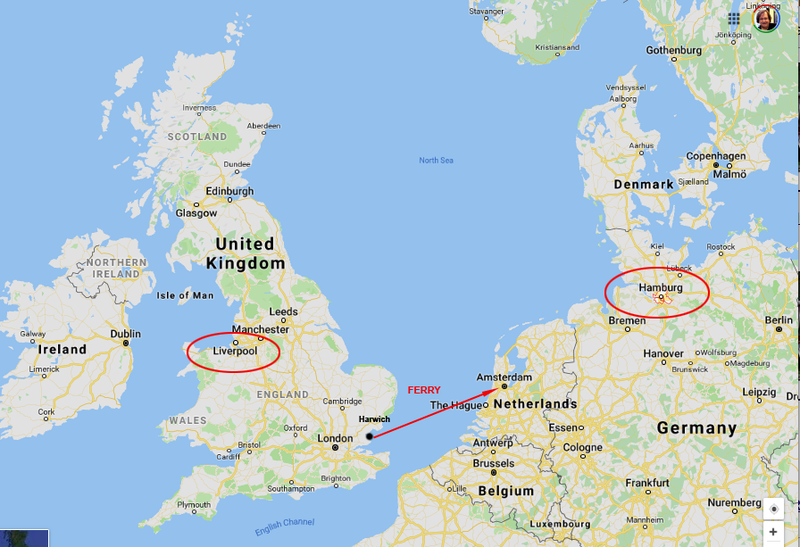 Map showing Liverpool and Hamburg - The Beatles would drive from Liverpool to Harwich, where they took the ferry to Amsterdam, then drove to Hamburg. 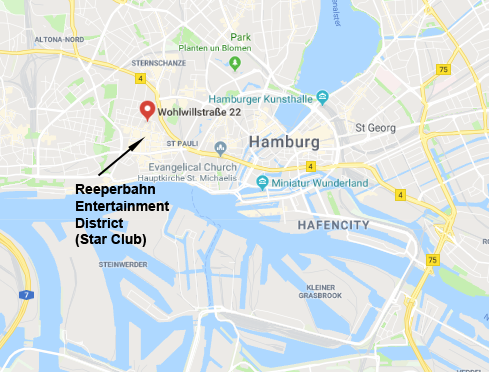 Wohlwillstraße (in English: Wohlwill Street) was just north of the Reeperbahn Entertainment District where the Beatles played at the the Star Club among other clubs. The passageway to where the photo was taken is at Wohlwillstraße 22 (i.e. 22 Wohlwill Street) (to go there in Google Street view just type "22 Wollwillstrasse Hamburg" into Google Street views, or click here. Another view of the passageway from above. The approach into the passageway. 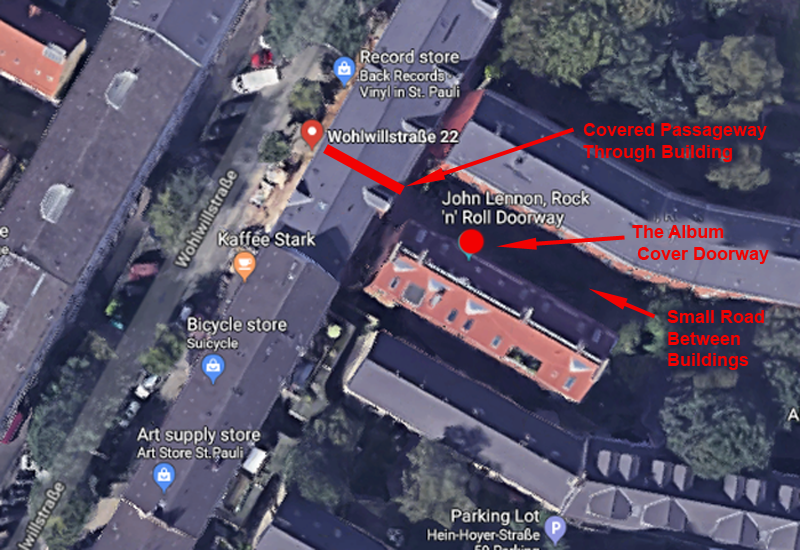 Once you go through the passageway - there is a gate that is usually open - the Lennon doorway will be to your right (to the left in this picture). People live here so be on your best behavior, please. The view of the alleyway in the other direction. 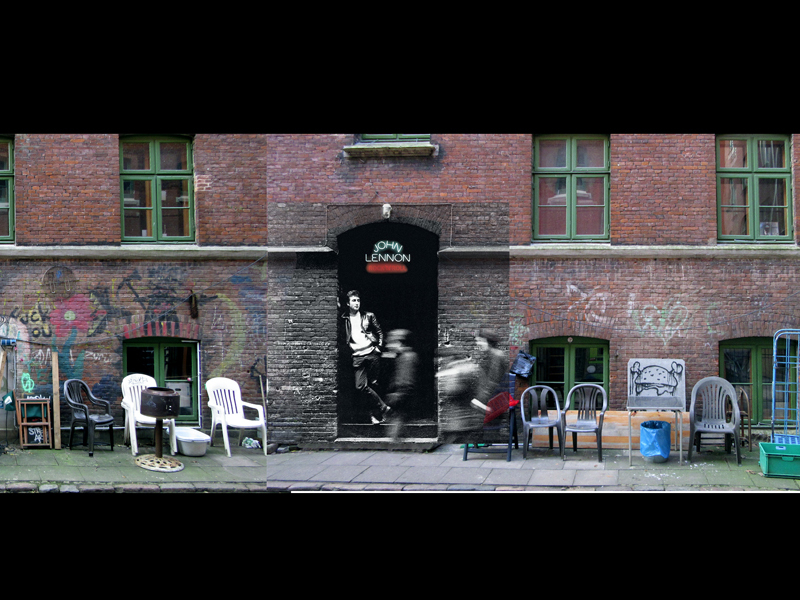 The Lennon doorway is on the right to the right of the three white chairs. 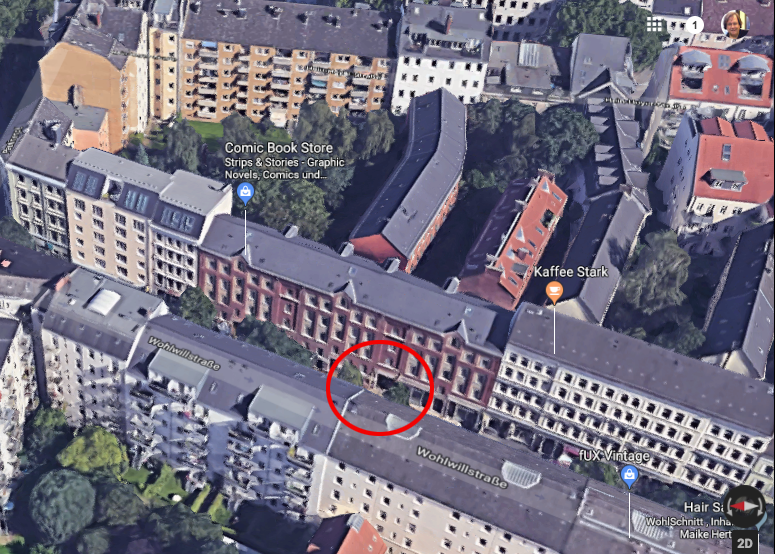 Here is a video of walking down Wohlwillstraße with a stop into the Jäger-Passage and the Lennon doorway made in February 15th, 2019 by Matthias Wagner, a friend of PopSpots from Hamburg. 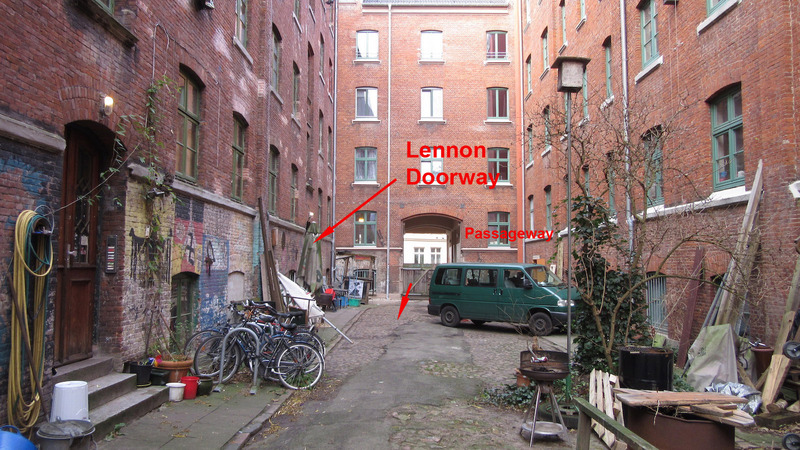 In the spring of 1961, when the Lennon/doorway photo was taken, there were five Beatles. 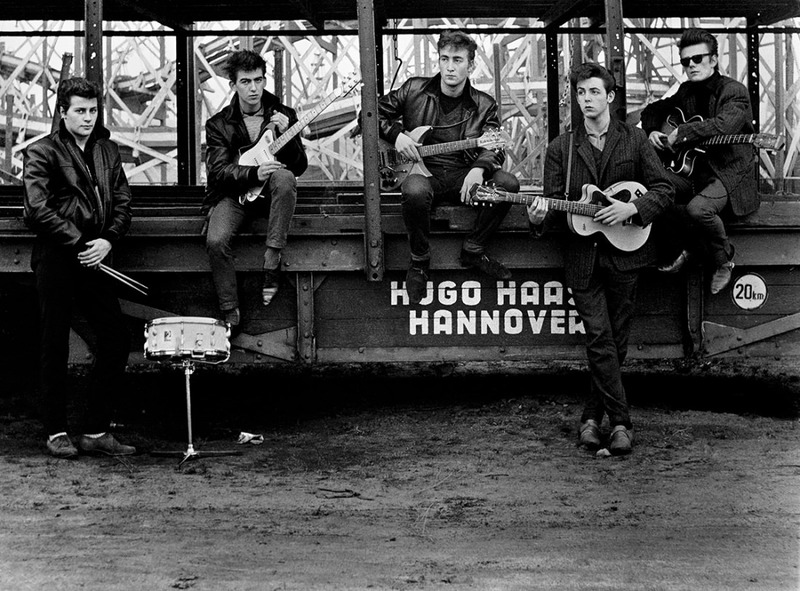 They were, from left to right, in this 1960 photo by Astrid Kircherr: Pete Best, George Harrison, John Lennon, Paul McCartney, and Stuart Sutcliffe. Pete Best did not come to the photoshoot that resulted in the Rock 'n' Roll album cover, so it is George, Paul, and Stuart as the blurry walkers in the photo. 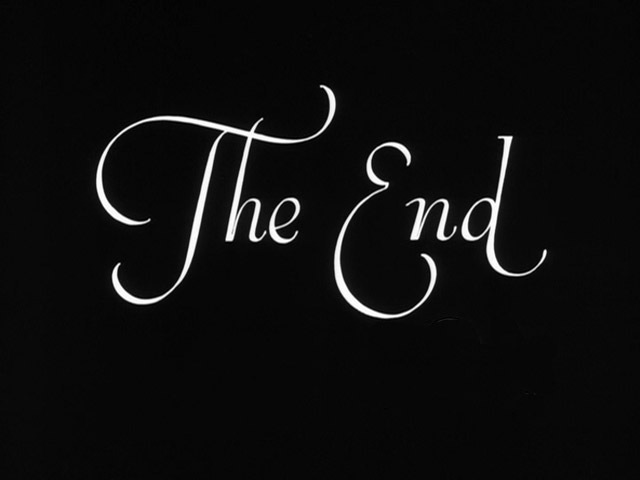 The photographer, Jürgen Vollmer, supposedly took twelve shots. 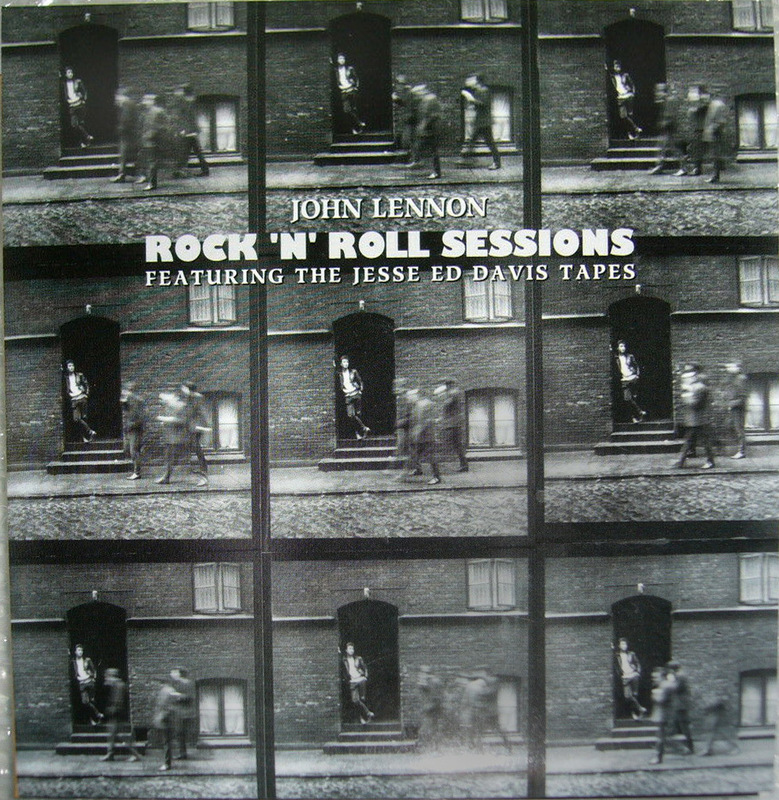 Nine of them are in this photograph of the cover of a bootleg album. 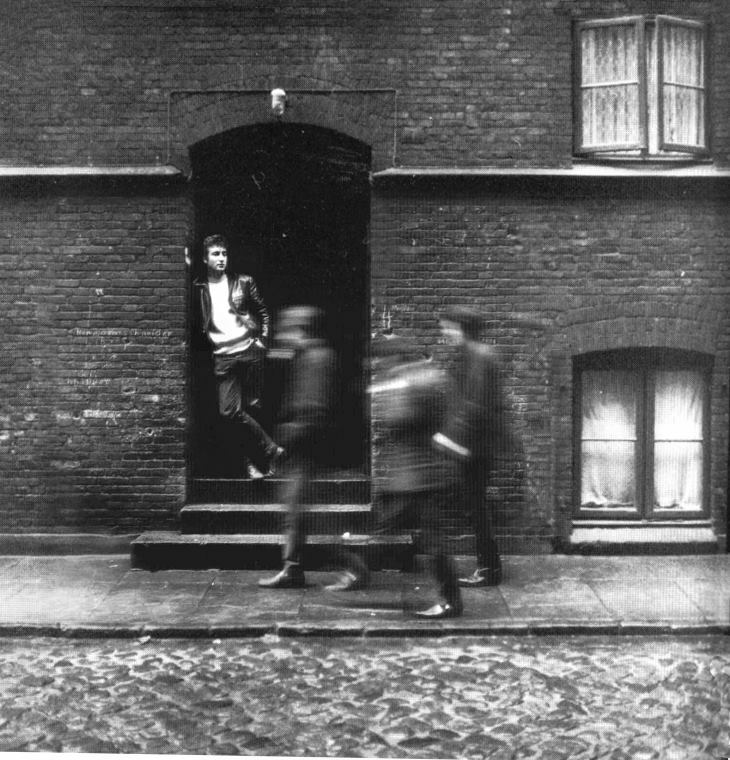 He posed John Lennon in the doorway, then had the three other Beatles walk past while he took the photograph at something like 1/10th of a second, rather than the normal 1/250th of a second. 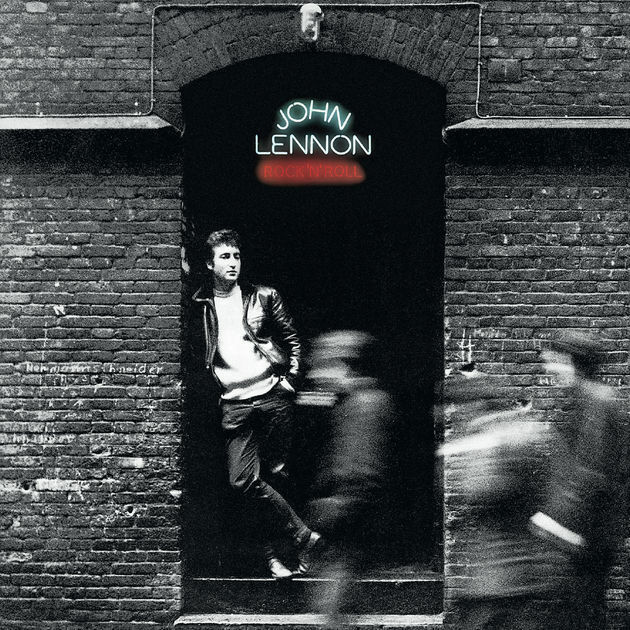 During the lengthy exposure, the other Beatles were captured moving as Lennon stood still.